Grandparents who are considering suing for visitation rights are likely to see one phrase over and over: “the best interests of the child.” This phrase is easy to understand; what's difficult is knowing what factors enter into a determination of a child's best interests. And that topic can be murky indeed. The use of the term “best interests of the child” is not limited to suits for grandparent visitation. It is heard during child custody and visitation discussions that typically follow divorce. It is also considered in foster care decisions. Some discussions of best interests aren't really relevant to a grandparent's suit for visitation, but the following information should be helpful. 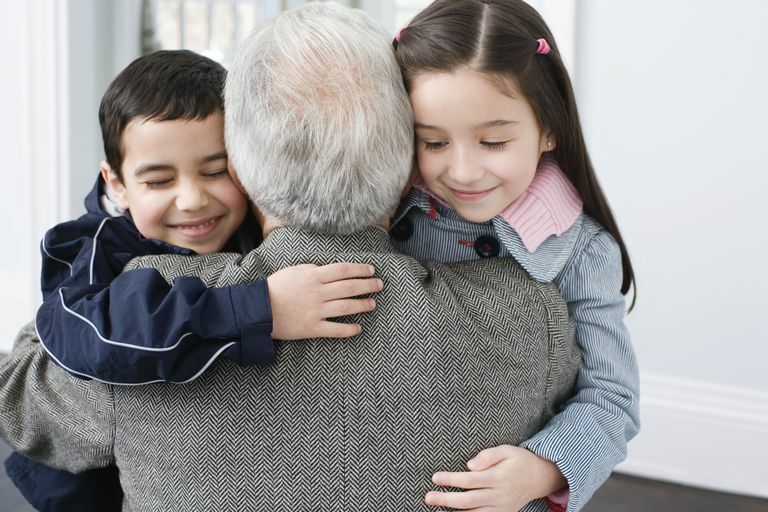 What Factors Are Considered in Grandparent Visitation Suits? The preservation of relationships between the child and other family members. This is most grandparents' strongest suit -- the presence of a significant grandparent-grandchild bond, the discontinuation of which would be detrimental to the child. This argument is bolstered in most cases if grandparents have acted as parents to a grandchild or have provided child care for a grandchild. The preservation of the parent-child bond. This is the weak point in many grandparents' suits. If the parents have made the decision to cut off grandparents' access to grandchildren, reversing that decision may lessen parental authority and introduce conflict into the home. The requirement that a child should be properly cared for and kept safe. If grandparents smoke or drink in the presence of grandchildren, or if they frequently have undesirable individuals in their home, these actions could impact a judge's decision. The mental and physical needs of the child. The grandparents should be physically fit enough to care for a child and, for the child's benefit, should keep visits low-key and stress-free. What States Do Provide Lists of Best Interests Factors? A few states do regularly refer to a list of factors to be considered in determining best interests. These can be helpful for grandparents to consider regardless of which state their suit will be filed in. The last factor was added later, after a Kentucky court making use of the Vibbert factors considered the possibility that adults involved in visitation cases could be acting out of vindictiveness. Can the grandparents provide a safe place and a satisfactory atmosphere for visits? What is the history of the grandparents' contact with the grandchildren? Is the grandchild emotionally stable and physically healthy? Can the grandparents handle the physical and emotional demands of a visit? Do both grandparents and grandchildren desire a meaningful relationship? How Can Grandparents Prove That Visitation Is in a Child's Best Interests? Grandparents who foresee the possibility of suing for visitation rights should painstakingly document their existing relationship with their grandchildren. Photographs, receipts and copies of emails and texts are just a few of the items that can show a significant existing relationship with grandchildren. And of all the factors involved in best interests decisions, that one is likely to be the most important. Disclaimer: Law is constantly being changed, either by legislative action (statutory law) or by court decisions (case law). The information contained in articles such as this one should be considered as a starting point only. Most grandparents seeking visitation will find it prudent to seek legal advice.